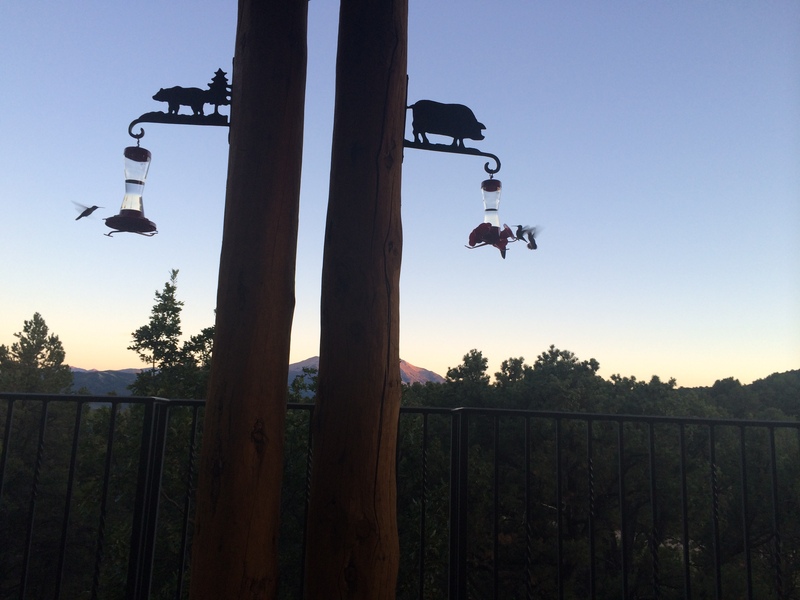 Hummingbirds at sunset in Colorado. This was a delicious variation of the Banana non ice cream I already posted back on May 29, 2013. 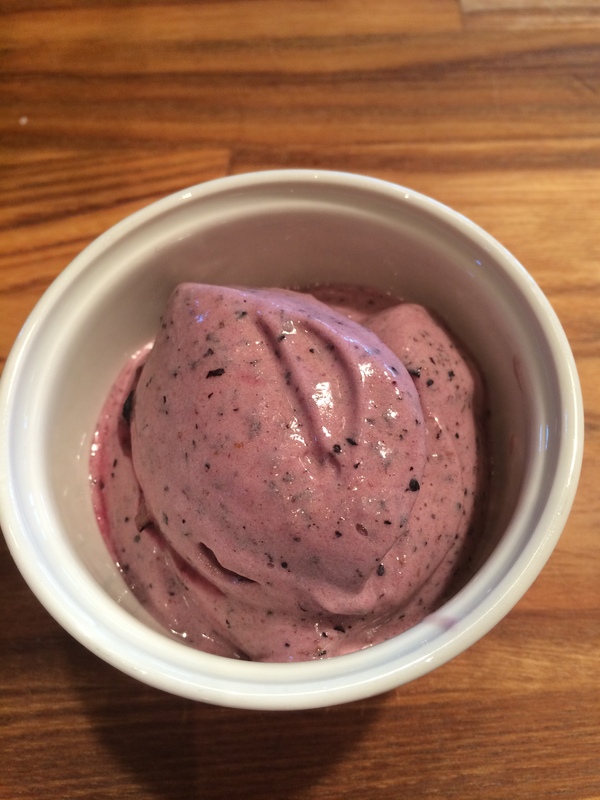 I had bought a lot of bananas and had a giant tub of blueberries so without any milk I made this for my dessert and it tasted so creamy and delicious that it was hard to believe it was not real ice cream. The natural creamy consistency of bananas makes this taste like real ice cream and yet it’s a delicious frozen treat that’s actually dairy-free. The only thing is that you have to prep by freezing bananas overnight. Perfect for little kids. No nuts, No milk, No nothing but fruit and a pinch of salt. Go for it and you certainly can try and mix it up by using bananas and strawberries, raspberries, etc. Remove bananas from freezer and let sit for a few minutes to just soften a bit. Mine were in freezer for a few days and had to soften before I could attempt to puree them, about 5 – 10 minutes. I used my Cuisinart Food Processor for this. 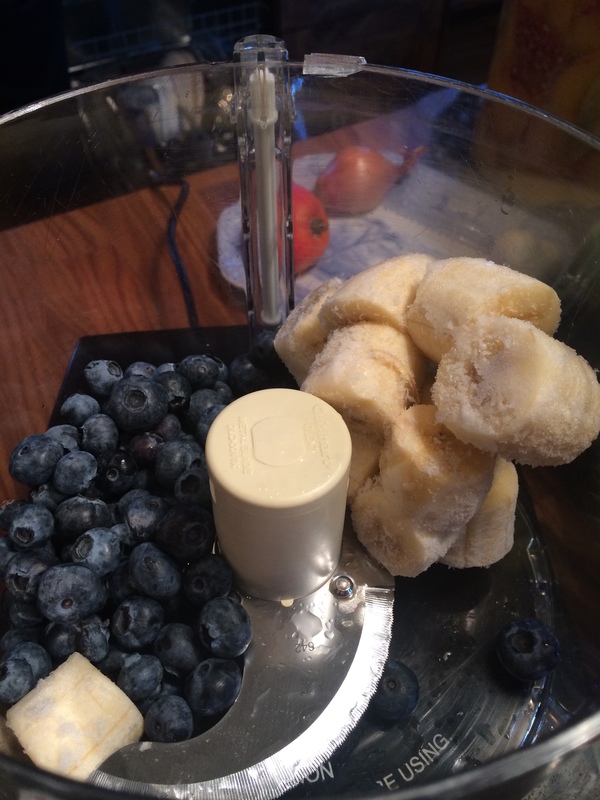 I pureed the Bananas, Blueberries and salt , scraping down the sides as I went. Puree till you get a creamy texture. You can make ahead of time and freeze for about a week. Let it sit before serving because it’s best when it’s creamy. Super Healthy and low in calories and no fat. Perfect Summer Food and why not all year round? 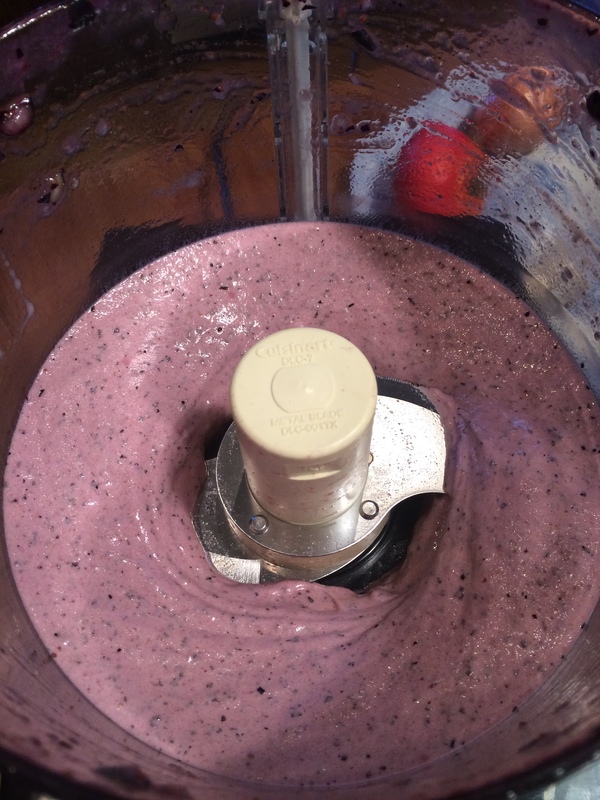 This entry was posted in dessert, fruit, Healthy Cooking with Candi, non dairy and tagged Banana and Blueberry, Banana and Blueberry non ice cream ice cream, bananas and blueberries frozen dessert, frozen dessert, healthy food, summer food. Bookmark the permalink.